A Boutique Hotel with all the Comforts of Home. 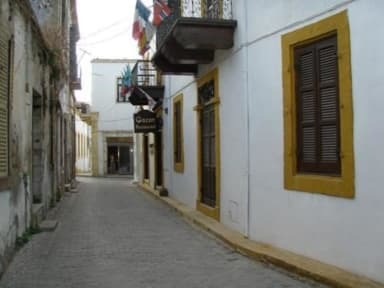 Nostalgia Boutique Hotel is ideally situated in the old quarter of Kyrenia and only minutes away from the picturesque old Harbour with its Venetian Castle and many harbour side restaurants and cafes. Due to its enviable location, Nostalgia Hotel provides an ideal base for exploring the island. Most car and public transport journeys will only take approximately one hour in any direction. The sandy and sheltered beaches are within 10 minutes journey from the town. Nostalgia Hotel has been lovingly restored from old historic town house, dating back to the Ottoman & Venetian times. Every effort has been made to retain the hotel’s local character with traditional décor. 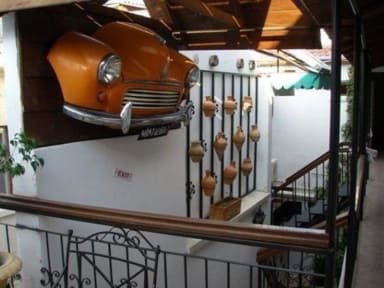 Due to its location and traditional character, the Nostalgia Hotel is unique in Kyrenia. This privately owned hotel is a far cry from the impersonal hotels one often gets in the Mediterranean. It is cosy and welcoming with antique furniture and memorabilia adorning the public rooms. You are assured a warm personal service by the friendly and helpful staff. Our guests depart as friends and many return to the Nostalgia time and time again. The hotel offers 20 rooms, all individually designed and decorated, some with four poster beds. Two Restaurants and Bar cater for the guests all day needs. Хороший бюджетный отельчик. Расположение очень удачное.